Chiropractor Dr. Jeff Wells has been providing natural health and wellness solutions to area families since 2000. He practices a variety of chiropractic techniques and offers nutritional counseling and custom orthotics. Saturday and same-day appointments are available. Whether you’ve been suffering from chronic pain or simply want to live a healthier, happier life, we want to help you at Wells Family Chiropractic. 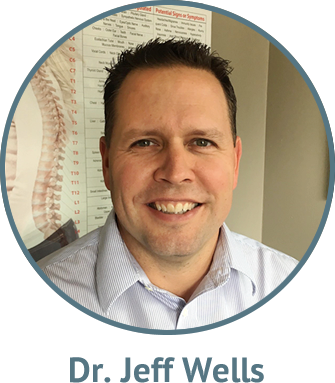 Reynoldsburg Chiropractor Dr. Jeff Wells is passionate about helping patients discover the many benefits of safe, natural and effective chiropractic care. When you come in and see us, you’ll always be looked at as an individual, not as an ache or pain. We want to help you for the long term, not just make your pain go away. By removing subluxations, or interferences in the nervous system, the body can heal as it’s self-healing and self-regulating. We offer patients a range of chiropractic techniques including manual, hands-on techniques and instrument adjusting. Discover how great you can feel when your brain and body is functioning optimally. Because there are systems of the body that may need nutrition support so you can experience better health, we are pleased to offer Nutrition Response Testing as well as other nutrition services. Whether you have an Immune system issue like an upper respiratory infection or a problem with digestion, we can address your condition and offer nutritional support through vitamin and herb supplementation. If you’ve been sidelined by a sports injury, Chiropractor Reynoldsburg Dr. Wells wants to help you get back in the game. He is a Certified Chiropractic Sports Physician (CCSP®), so he has a particular interest in helping athletes without using drugs or surgery. He is also concussion certified so he is able to help athletes recover and release them to return to play. We know you’re busy; that’s why we offer convenient care that includes same-day and Saturday appointments at our walk-in clinic. Insurance is accepted as well as Medicare. Discover the many benefits of chiropractic care. Contact us today to schedule an appointment or free consultation! Absolutely love Doc Wells and Sandy!!! Would highly recommend the Doc!!!! I have full confidence in Dr. Wells and staff to guide me through my healthcare needs. Love the caring environment and the staff. I look forward to seeing Dr. Wells every week! The staff is very friendly and kind. I love that you play country music. I would recommend Dr. Wells to anyone that needs chiropractic care. Best chiropractic care I have had in a long time. I am confident that Dr.Wells can help me with my problems! I’m very thankful that Dr. Wells was recommended to me! I’m feeling much better even after such short period of time. That staff is all amazing and friendly. Thanks for everything!